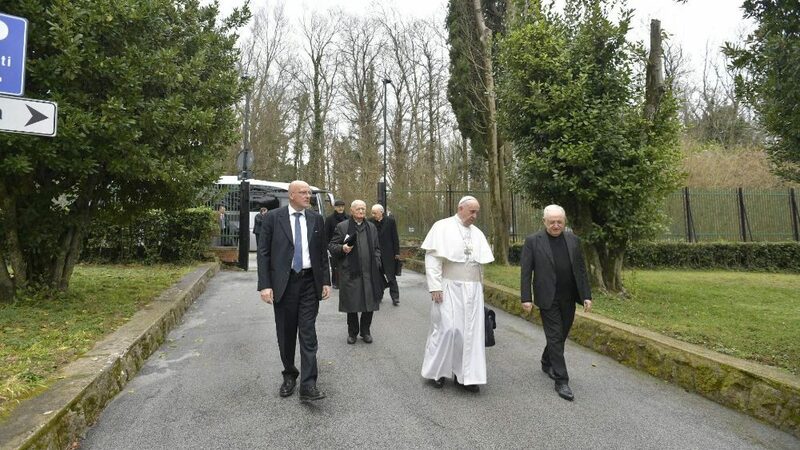 On the evening of March 10, 2019, First Sunday of Lent, the Spiritual Exercises of the Roman Curia begin, in which the Holy Father Francis is taking part, began. The meditations are presented by Abbot Bernardo Francesco Maria Gianni, O.S.B., Oliv., of the Abbey of San Miniato al Monte, and their theme will be: “The City of the Ardent Desires,” For Paschal Looks and Gestures in the Life of the World. The Exercises will end on Friday, March 15. During the week of the Spiritual Exercises, all audiences are suspended, including the General Audience of Wednesday, March 13.